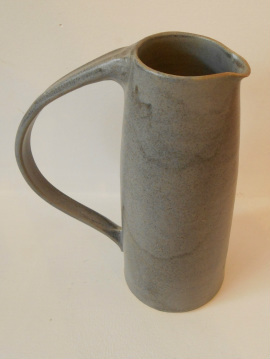 Dove pottery is run by David Worsley, who makes functional, wheel-thrown tableware in Saltaire, West Yorkshire. His degree was in Fine Art, and he gained an M.A. in sculpture from the Royal College of Art in 1998. David desired to make objects that were useful, as well as pleasing to the eye; and it was this need for 'use' that drew him away from sculpture and towards pottery. 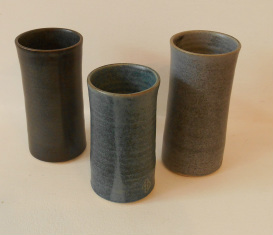 The forms thrown are simple and functional, yet strong, and are made to be used as part of everyday life. He believes affordability is crucial, and he would like his pots to be used, not kept on a shelf for best. The pots are glazed all over in a single colour. 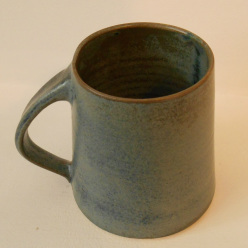 He makes and glazes his pots, using a white stoneware clay and firing up to 1260ºC. David is influenced by the ideals of the Slow movement, where considerations for sustainability, localism and community are key. 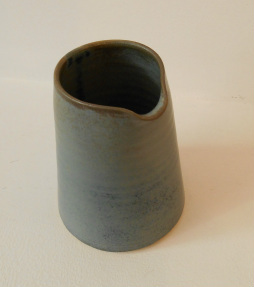 He is inspired by early to mid twentieth century British pottery, traditional pottery where function is central, and by other contemporary potters, who follow in that tradition.